Ah-choo! Whether it’s seasonal allergies or a bad cold coming on, getting sick is never fun. But now, you don’t have to schlep your sick self to the doctor when you’re feeling ill. You can get seen by a doctor online, all thanks to telemedicine. Telemedicine combines technology and medical care to offer health services to patients no matter where they are. (Naturally, if you are having a life-threatening emergency, it’s best to call 911 and be treated in person immediately.) But for other times when you’re simply feeling icky, you can have a doctor diagnose your symptoms and treat your illness in mere minutes while you safely stay in bed. 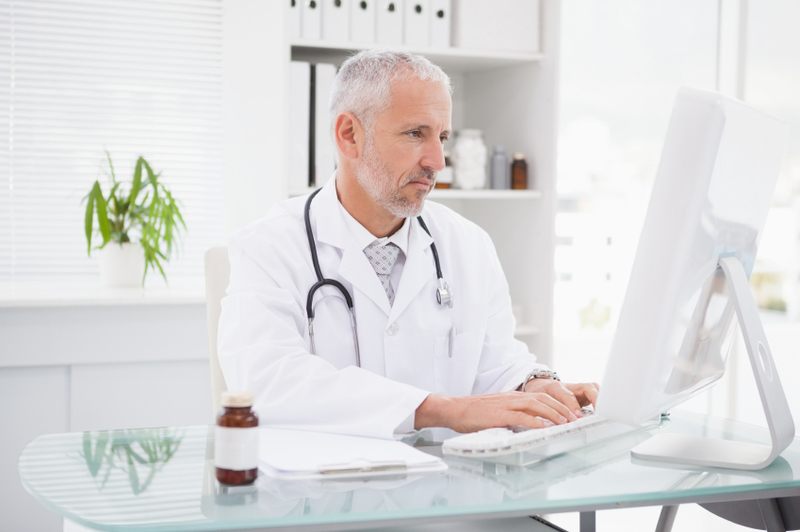 There are many benefits to visiting a doctor online. For starters, making an appointment is fairly quick and easy. (Some services, like American Well, offer telemedicine physicians 24/7.) Another advantage to telemedicine is that you don’t have to sit in a waiting room, possibly contaminating others with your germs, or worse, catch something worse that they have! And if you’re too sick to get yourself to the doctor, live in an isolated area, or you have a disability that makes getting to the doctor’s office difficult, being seen at home is a definite plus. Add to that personalized treatment (as opposed to a doctor who rushes in and out of the exam room in minutes,) and you’ve got a win/win situation. According to an article in MobiHealthNews, of the 900 million doctor visits that take place annually, about 50 percent of those can be done virtually. In most instances, you can use your smartphone or computer to make the appointment, see which doctors are available, and connect via phone or video chat. A few minutes later, you could have your diagnosis, and treatment instructions. But what are virtual doctors actually doing? In addition to listening to your heartbeat, taking blood pressure and looking in your ear with a connected otoscope, they can also teach patients how to perform self-exams, such as checking their own lymph nodes for signs of strep, or even performing breast exams. Couch patients might worry about the quality of care done during virtual visits, but they shouldn’t. Virtual doctors are real doctors providing their services in a way that embraces today’s tech-oriented way of living and doing business. While it might never be able to replace a conventional doctor’s office visit, telemedicine is a very viable extension of traditional medicine. Not only does it allow patients to receive the care they need (while minimizing the risk of infecting others,) but now medical professionals can take their practices out of the office and work wherever they are needed.